I get so many questions over on Instagram about my ceramics collection. I thought it was about time I do a post on all my faves. I’ve been collecting ceramics for the past several years, purchasing them on my travels, working with ceramicists on custom pieces and picking them up locally in Portland. I don’t collect many things, but my ceramics and crystal collections definitely hold a place in my heart. I love supporting people making beautiful things by hand. Handmade ceramics almost always cost more, but they are always worth it. They’re more sturdy and typically last longer than mass-produced dinnerware, as they don’t chip as easily. 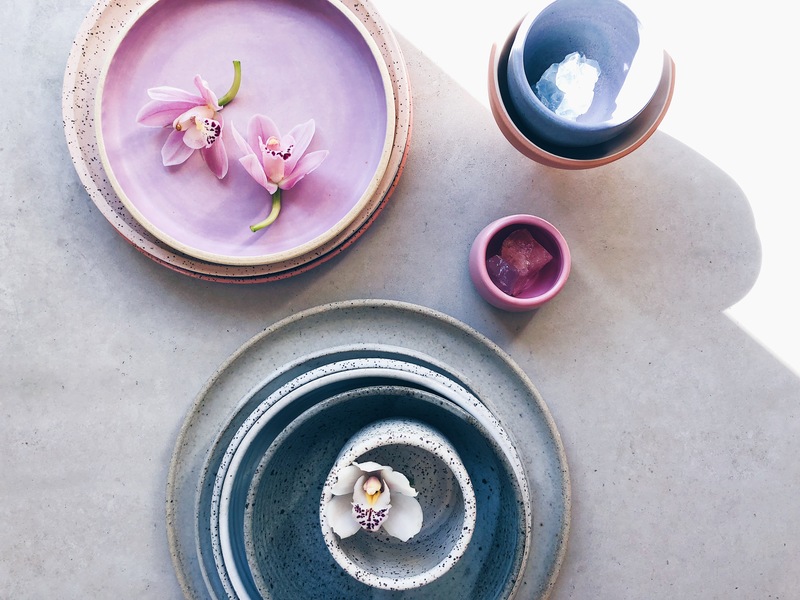 Handmade ceramics bring great joy to my home. I love picking out which mug I’m going to drink from each morning or which bowl I’m going to eat my lunch out of. My ceramic collection is mostly mix and match, but all have a similar vibe and aesthetic so when I’m setting my table for entertaining it still looks cohesive. If you like an artist’s work but don’t see the exact piece you are looking for, don’t hesitate to reach out! Most ceramists will do custom orders. Colleen Hennessey – One of my all-time favorites. I especially love Colleen’s bowls. Fefo Studio – Aside from being an amazing human, Fernando also happens to make insanely gorgeous ceramics. Alexandria Cummings – Alex and I have known each other for years. It’s been so wonderful watching her work evolve and her business grow. She just made the cutest mugs for one of my NYC workshops. Justin Caraco – Justin’s work is brilliant. He doesn’t sell online, but shoot him a DM if you are interested in any of his works. 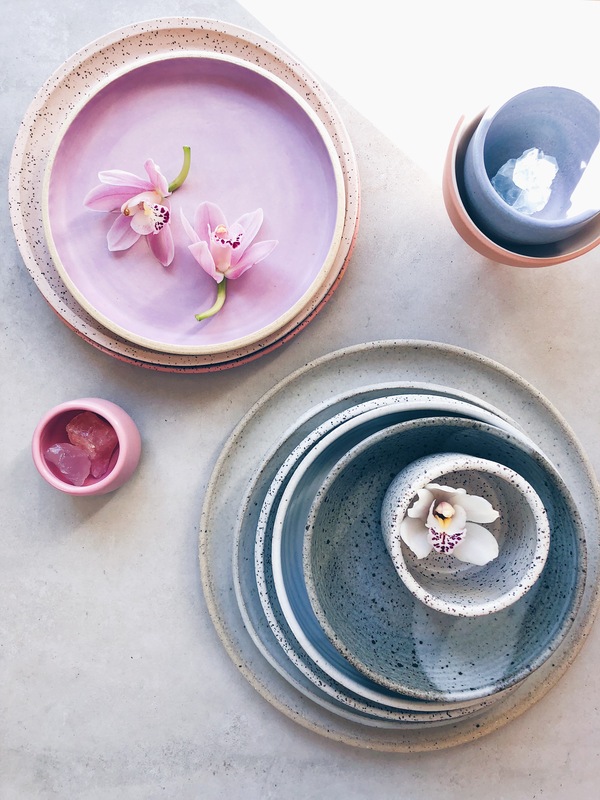 Zamaa Ceramica – I discovered Zamaa when I was in Tulum last year. Seriously stunning work. Kati von Lehman – I’ve been a long-time lover of Kati’s work. I have one of her tumblers, and it’s definitely one of my favorite vessels. Anamone Studios – Just discovered Anamone recently, and I’m thrilled that a couple custom pieces for our new kitchen are on their way to me now. Pigeon Toe – These babes make the coolest stuff, including the rad pendant lights that are going in our new kitchen. bX Ceramics – Becki’s work has so much depth and beauty. She made 50 mini matcha mugs for my other NYC workshop last month. Mary Carroll Ceramics – Picked up one of Mary’s mugs at the Portland Airport on my way to NYC last month, and it’s definitely my new favorite. Brian Giniewski – The most fun! Brian’s work is so original. I have several of his mugs. Earth + Element – I met Liz at Spirit Weavers Gathering last year, and my best friend and I purchased matching tea bowls from her. Notary Ceramics – Sarah’s work is understated and lovely. And she’s also an all-around lovely human. A Question of Eagles – I’ve been swooning over Melissa and Jonathan’s work for a while. I need that soap dispenser! Earthen – Loving this line from SF. On my wish list! Helen Levi – I’ve long been a fan of Helen’s work. Her marbled pieces are insane. 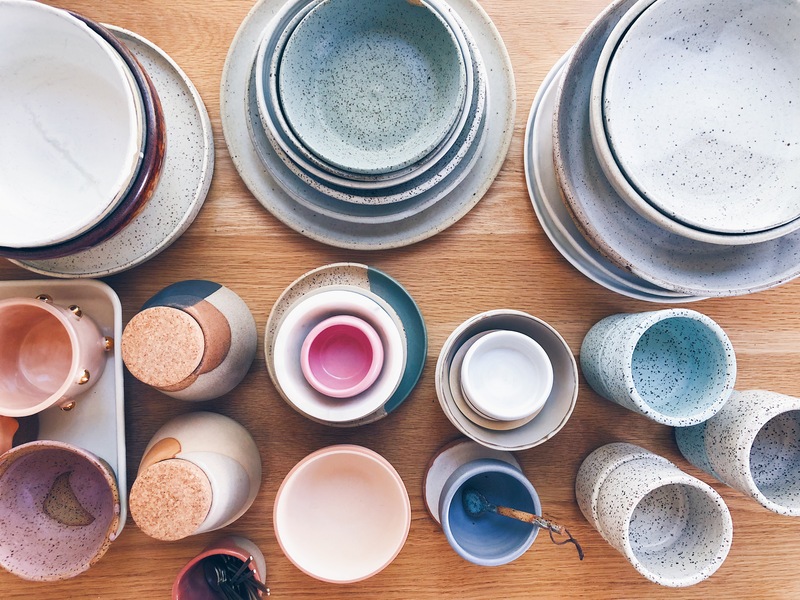 Mimi Ceramics – A Portland local. I love how playful and fun her work is.